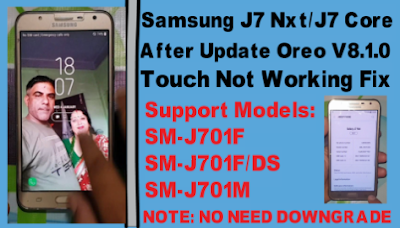 Samsung J7 Nxt/J7 Core(SM-J701F/DS /SM-J701M)After Update Oreo V8.1.0 Touch Not Working Fix. Samsung J7 Nxt/J7 Core Required File. 2# Download Samsung j7 Nxt Touch Fix File. Samsung J7 Nxt/J7 Core Touch Fix Method.